Designed for today’s high-tech, high-drain devices. 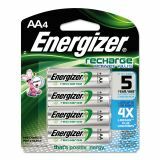 Energizer NiMH Rechargeable Batteries, AA, 4 Batteries/Pack - NiMH Rechargeable AA Batteries are designed for high-tech, high-drain devices. Quick and easy to charge. Each lasts for approximately 1,000 charge/discharge cycles (four to five years of normal use). Particularly well-suited for devices requiring high-energy development over a short time. 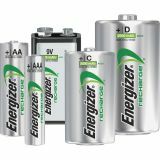 Batteries offer far higher power reserves than standard alkaline manganese batteries. Ideal for everything from digital cameras, portable cassette players, PDAs, handheld games, portable CD players to notebook computers. 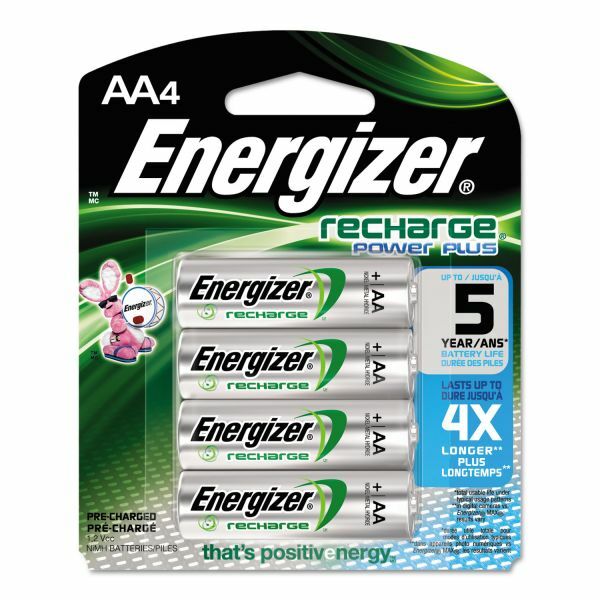 Durable rechargeable batteries do not contain cadmium.